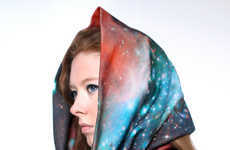 The Uniform Experiment 2013 Spring/Summer stole collection is a vibrant series of star-adorned and multiple print scarves. 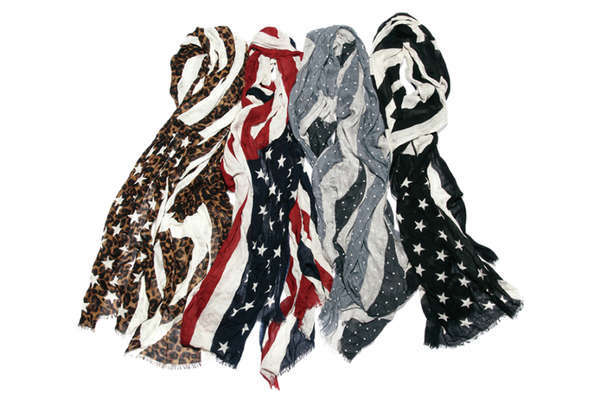 The sensational scarves are patriotic, play into the latest obsession with stars and are great as neck warmers and wraps. 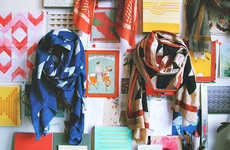 These vivacious stoles will add that extra something to any outfit. There is a wide range of flag prints from the American flag to the British union jack. 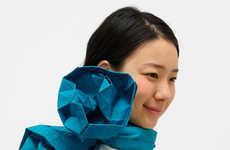 Each flashy scarf also comes in a variety of options. If you feel like channeling your inner A$AP Rocky opt for a full-out primary color Americana one or if your feel more subdued go for a muted striped gray stole with tiny stars. 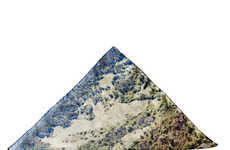 The Uniform Experiment 2013 Spring/Summer 2013 scarf collection is bright, brilliant and hits home.